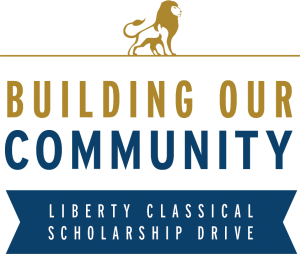 The Liberty Scholarship Fund provides scholarships that help make a Liberty Classical education attainable for all families regardless of their financial background. The funds raised during the five-week Scholarship Drive are vital to that effort. The Scholarship Drive kicks off in April and culminates with a celebration event in May. 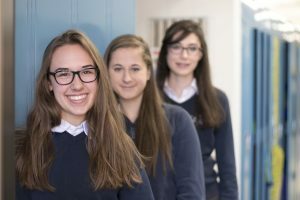 During the campaign, Liberty families reach out to their network of friends, family, and business contacts to generate community awareness and scholarship support for our school. 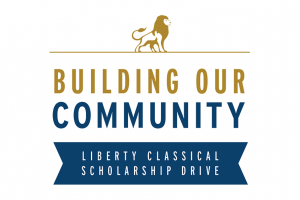 At Liberty Classical, we are building our community with the scholarship drive. Why do we do the Scholarship Drive? Live Music...Powerful Scholarship Drive Video...Prayer...Unlimited Refreshments...and a surprise that will ROCK your socks off! You don't want to miss it! The 2019 Scholarship Drive is changing! Join us for a special Scholarship Drive Kickoff in the gym. Students, staff, and families will come together to prayerfully begin our annual 5-week fundraising campaign for scholarship funds. Take a minute to activate your website, meet the new leadership, and see what's in store this year! 3:15 - 4:00 PM - Fundraising Website Activation, Refreshments and More! **IMPORTANT NOTE: Classroom pickup is required on this day following the Kickoff Event in the gym. Lower School students need to be picked up in their respective classrooms between 3:15-4 PM. Middle/Upper School students will also be in the Lower School classrooms with their LS buddies. If you are picking up M/US students on April 5th before 4 PM, we will identify their classroom and dismiss them to you. Any student not picked up by 4 PM will be sent to aftercare. Thank you! It will be a fun-filled evening with the Liberty community. All are welcome! Proceeds from the evening benefit the Scholarship Drive. To save the school fees, we request cash or check for silent auction payment at the event. Volunteer information and sign-up coming soon.